(b. 1984) – educational psychologist by profession, composer, vocalist and publicist. She works as a cultural animator, dealing with civic empowerment of local communities. She has written texts about music, internet, aesthetics and housing. 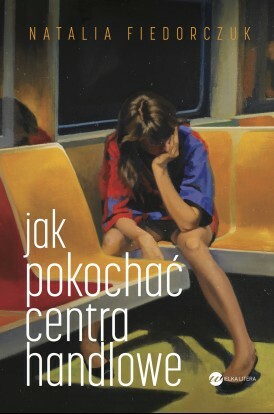 Jak pokochać centra handlowe is her prose debut. 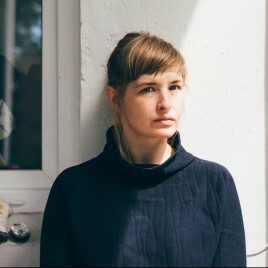 Jak pokochać centra handlowe (Wydawnictwo Wielka Litera), Natalia Fiedorczuk’s literary debut, is about the woman experience and an unusual story about the transformation of w women into a mother. Natalia Fiedorczuk’s prose is uncompromised, sincere, painfully true, an introverted story, mesmerizing, spanned between fiction and reportage. It is a poignant picture of becoming a parent and emotions accompanying this transition: anger, sorrow and uncertainty, all that written without coquetry or striking a false note. Jak pokochać centra handlowe is an insightful look about contemporary Poland. Incisive descriptions of suburbs, daily work and duties have the power of a manifesto of the precarious generation. Natalia Fiedorczuk’s narration brings to light the difficult and the uncomfortable, situating her story in a range of powerful and authentic literary pictures of parenthood and depression like in Justyna Bargielska’s Obsoletki or Kaja Malanowska’s Drobne szaleństwa dnia codziennego.